USPA NEWS - The Women’s Forum for the Economy & Society is proud to announce its full support towards the international conference, Stand Speak Rise Up!, focusing on the victims of sexual violence in fragile environments. This unique event at the initiative of Her Royal Highness the Grand Duchess of Luxembourg with her Foundation, will take place in Luxembourg on 26 and 27 March 2019. 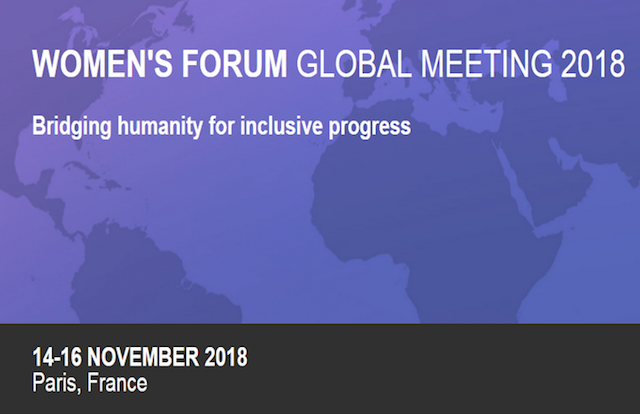 Her Royal Highness commenced the advocacy around this announce their support for this great cause at the 2018 Women’s Forum Global Meeting in Paris last November in the presence of His Royal Highness the Grand Duke. 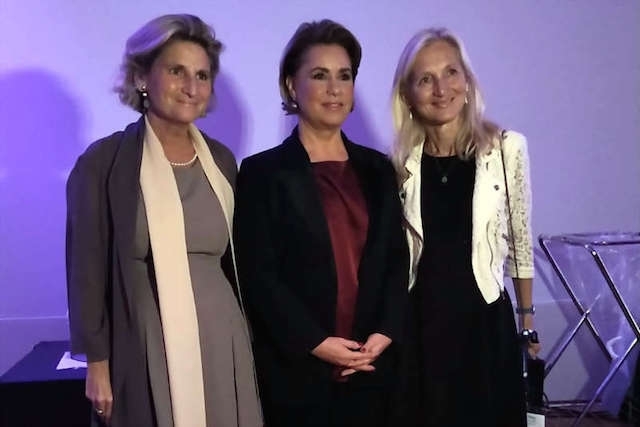 The day was marked by the intervention of The Grand Duchess who, on her return from her recent humanitarian trip to Lebanon, presented the actions she supports in favour of survivors of sexual violence in “fragile environments”. The Women’s Forum for the Economy & Society is proud to announce its full support towards the international conference, Stand Speak Rise Up!, focusing on the victims of sexual violence in fragile environments. This unique event at the initiative of Her Royal Highness the Grand Duchess of Luxembourg with her Foundation, will take place in Luxembourg on 26 and 27 March 2019. 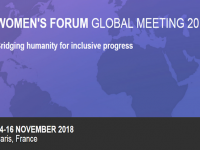 Her Royal Highness commenced the advocacy around this announce their support for this great cause at the 2018 Women’s Forum Global Meeting in Paris last November in the presence of His Royal Highness the Grand Duke. The day was marked by the intervention of The Grand Duchess who, on her return from her recent humanitarian trip to Lebanon, presented the actions she supports in favour of survivors of sexual violence in “fragile environments”. This is a long-standing project, which started with her first meeting with Dr Denis Mukwege, Nobel Peace Prize Winner. “I asked him how I could help the victims of sexual violence. He replied that he had just created a group of survivors and he asked me to give them a platform. I decided then, with the help of my Foundation, to hold a conference so as to give them a voice”, said the Grand Duchess.---------------------------------------------------------------------------------------------------------------- “When the Grand Duchess told me about her great cause I immediately thought that the Women’s Forum should and could bring its full support to contribute and to give a voice to those who succeed to overcome such trials worldwide.” explained Chiara Corazza, Managing Director of the Women’s Forum. To bring this ambitious conference project to life, The Grand Duchess was delighted to announce both the collaboration of the Women's Forum for the Economy & Society and the two strategic partnerships with the Mukwege Foundation and We are not Weapons of War in the honorary presence of three Nobel Peace Prize winners Dr Denis Mukwege, Nadia Murad and Muhammad Yunus. The Grand Duchess expressed her gratitude towards the Luxembourg government who is supporting this initiative. The whole community of the Women’s Forum will be aside the Grand Duchess to stand speak rise, to engage for impact and contribute to never let this happen again.